I’ve been wanting to blog a bunch of furniture but fashion things always gets blogged ahead of everything else. I’ll start by blogging my new Coeur skybox and a few MudHoney items that goes perfectly with it. 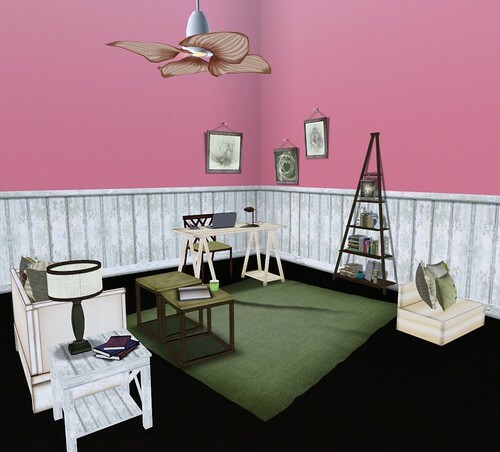 This Coeur Home “sweet” Home skybox is so very Juicy! There are 4 fruit themes – Citrus, Strawberry, Watermelon, and a special group gift, Cherry. 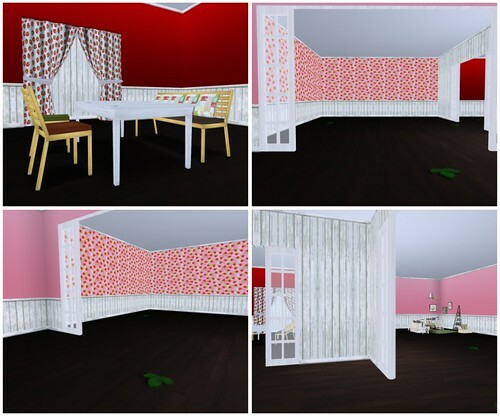 I picked Strawberry cos I liked the Pink walls, but they’re all pretty so I might change it up once in awhile. This MudHoney Lawrence Office set is so sweet, and includes everything pictured above. I like that it includes everything you would need to set up an office space (desk, laptop, desk accessories and book shelf) and also includes additional seating areas to entertain friends or relax. I have a few more things to blog later, since this month’s Spruce Up Your Space theme is beachy and I looooooooove the beach! Where did you get your laptop?